Russia - the enigmatic country that is surprisingly familiar once you arrive and find yourself standing in the middle of the ancient Red Square (red meaning beautiful on old Russian) in Moscow or wandering through the cobbled streets gazing at the lush buildings where Russian royalty used to live in St. Petersburg. After a couple of days you will find yourself throwing out 'spasibo' to some of the most hospitable and friendly people you have ever met. This is Russia and it's a whole new world to explore! It was not always this way. In Soviet times it used to be complicated to visit Russia. During the Soviet era state security had controlled all visitors coming into the country and followed many of them on the ground. And in the 1990's you had to go through a cumbersome visa application process to get a visa to Russia. Fortunately, the times have changed and today Russia is more open to the rest of the world than many of western countries are to Russians. The Russian government has abandoned visas with over 40 countries and officially proposes to do the same to many western countries. As a result, thousands of western travelers unveiled Russia - a whole new universe to themselves. And they absolutely love it. 99% customer satisfaction rate of our journeys to Russia bears witness to this fact. Now is your chance for a unique journey that will change your world. Out of all of Russia, there are but two cities that define Russia's past, present, and its future: Moscow and St. Petersburg. 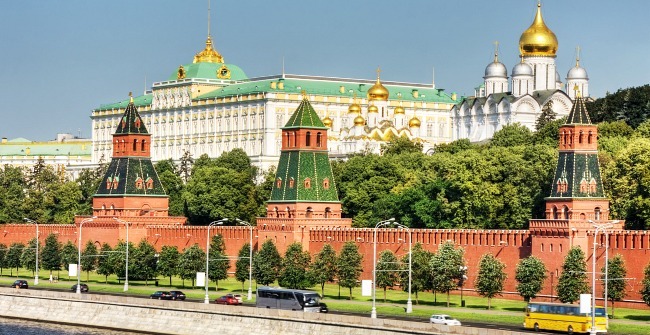 With our award-winning luxurious Moscow - St. Petersburg tour you will see the best of these two capitals. Start your trip before the mighty walls of the Kremlin, gazing forth at the onion domes of the lavish churches held within. And then stop in Saint Petersburg to explore some of Russia's most glorious golden-domed palaces dating back to the time of Peter the Great. Accommodation in best luxurious hotels, rich sightseeing program with professional guides and a wide range of evening activities make this tour an ideal first stop in the wonderful and historically rich land that is Russia.